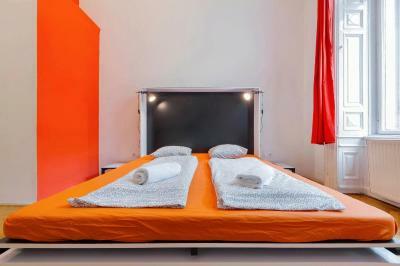 Lock in a great price for Adagio Hostel 2.0 Basilica – rated 8.4 by recent guests! Room comfortable with the courtains. I was in a medium size room and It was a little bit complicated where to leave your bags, but not a big hassle. The staff was nice and polite. 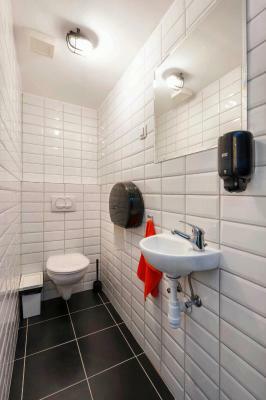 The toilets and bathroom are small, but for me, was okay. 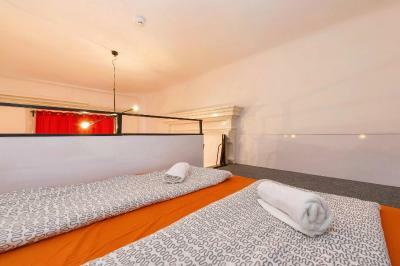 I think is a very nice hostel for the cheap price i paid and located in the middle city centre. Location is excellent. 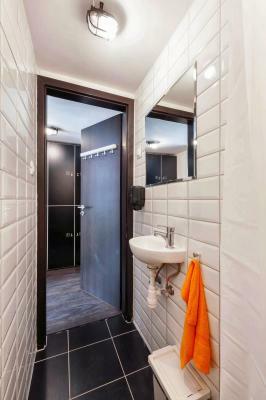 It is near public transport, money exchange, shopping areas, and tourist spots. Room is clean and comfortable. Location is good. Have free coffee and tea. 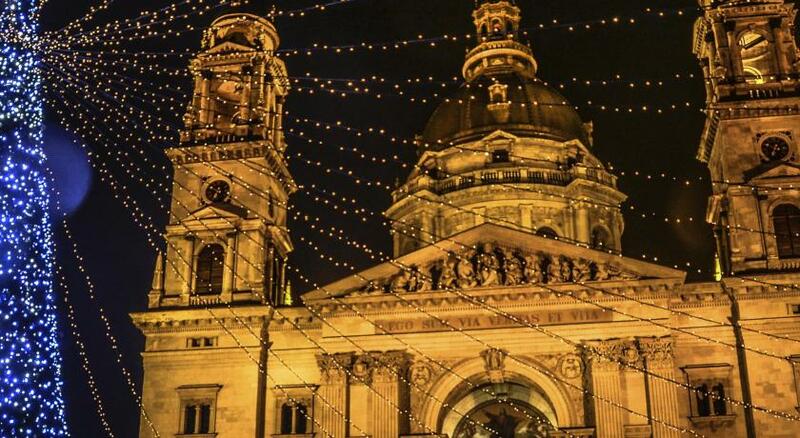 It's located near st stephen, just a few step walk away. Airport shuttle stop is 350 m away. 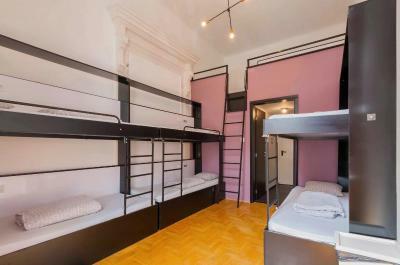 The location of the hostel is great, in the center of almost every major thing happening in Budapest. 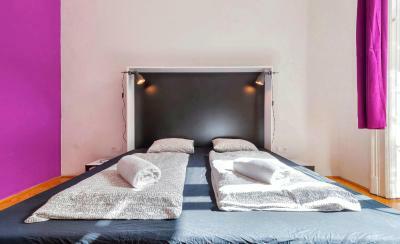 The beds are comfortable, and the staff is friendly and communicative. 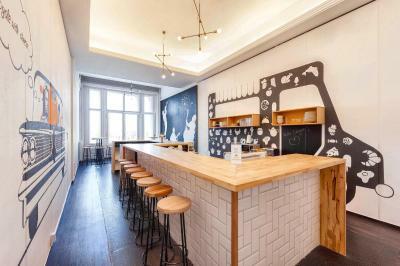 The location was ideal as well as having the kitchen area and being able to socialise with other people. 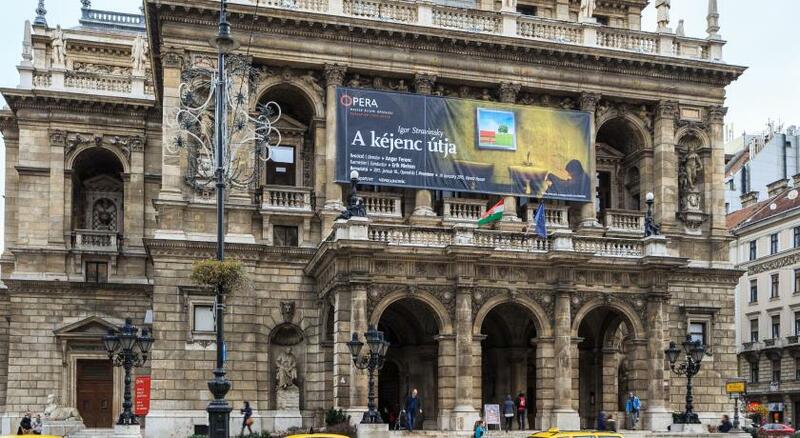 One of our best sellers in Budapest! 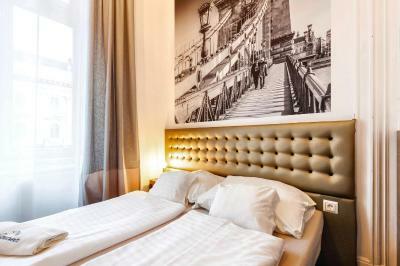 The Adagio Hostel 2.0 Basilica is set 1,650 feet from the St Stephen's Cathedral and 150 feet from the M1 Metro Line and it offers modernly furnished private and dormitory rooms. Free WiFi is available. Several pubs and restaurants can be found in the immediate vicinity. 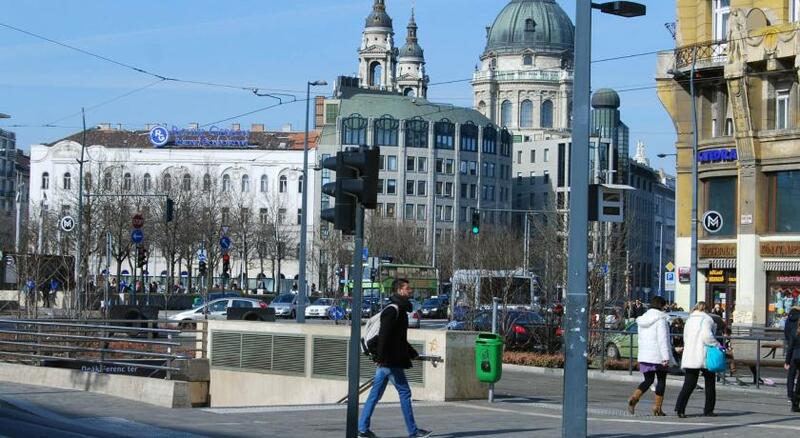 The Andrássy Avenue and the Deák Ferenc Square, transportation hub of 3 metro lines are within a 5-minute walk. Public parking is possible on site. 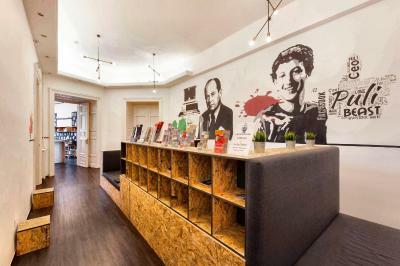 When would you like to stay at Adagio Hostel 2.0 Basilica? 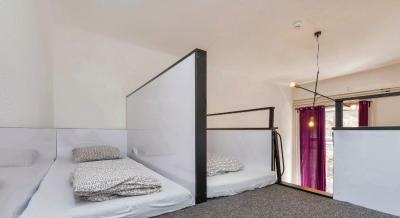 This private room offers 2 bunk beds. 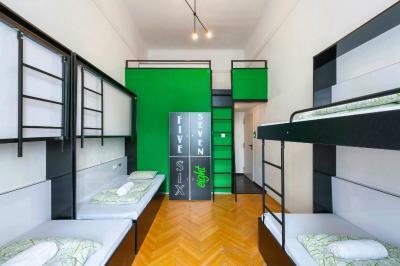 This bed is set in an 8-bed dormitory room featuring modern furnishings and a wardrobe. 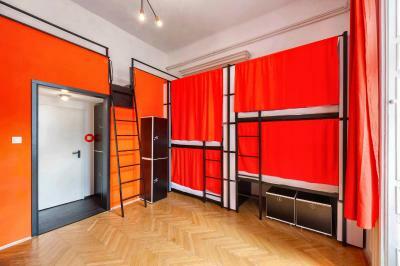 This bed is set in a 10-bed dormitory room featuring modern furnishings and a wardrobe. 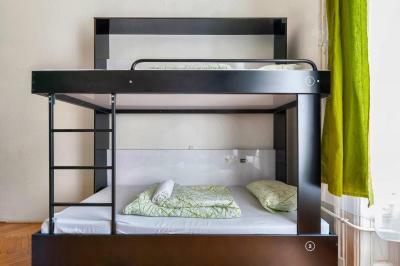 Adagio Hostel 2.0 Basilica offers its guests a great deal of flexibility. 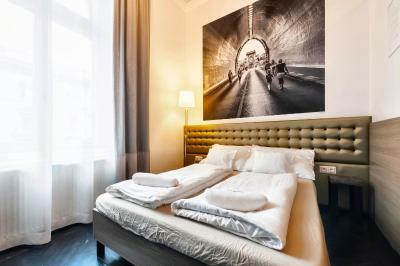 Several rooms can serve multiple functions. Has a friend expressed interest in joining your trio? Has a friend dropped out of the group? 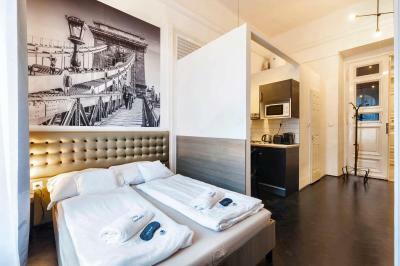 We are able to offer you multiple choices due to the flexibility of our room setup. 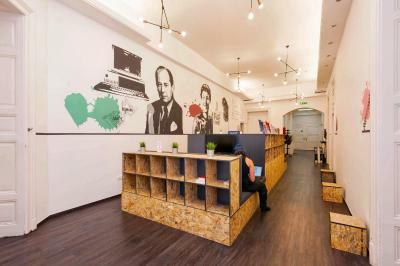 House Rules Adagio Hostel 2.0 Basilica takes special requests – add in the next step! 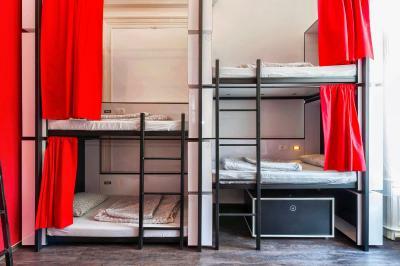 Adagio Hostel 2.0 Basilica accepts these cards and reserves the right to temporarily hold an amount prior to arrival. There were no curtains on the beds in my dorm (as shown in the pictures.) 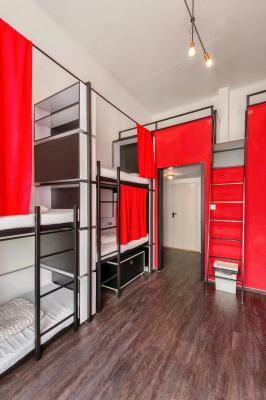 It was actually the main reason that I chose this hostel in the first place. I only stayed for one night but it was much nicer than I expected. Friendly staff. 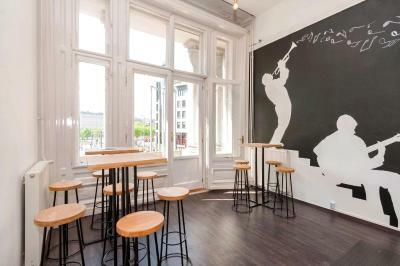 Great location. Excellent value for money. 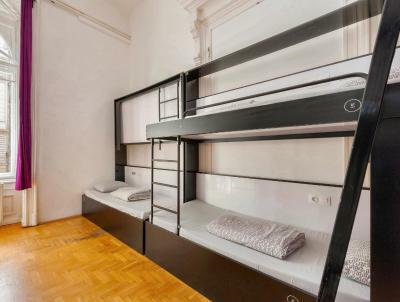 I've stayed in lots of terrible accomodations in Budapest; I wish I'd discovered this place sooner. there should be bathroom showers gel dispanser. 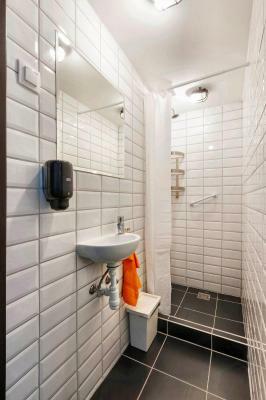 And at least 1 couple of bath towel and head towel should be ready in your bed already. 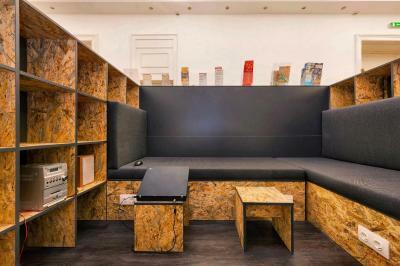 Designed with love and artistic way. 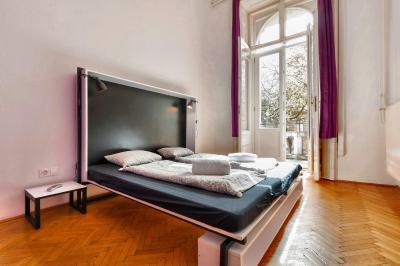 The wifi was horrible and the beds were nothing more than a mattress on the floor. Sleeping wasn't very comfortable. Also the stairways (to heaven) access to the beds were not too perfect. Showers were also not too comfy, since they went off after every drop of water coming out. The location was perfect, and so was the wifi of Costa coffee on the corner, since that free wifi of that shop worked way better than the own modem. 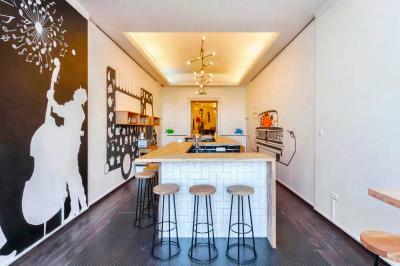 The most important is the 24 hours availability of staff, they speak English well, and kitchen is accessible all the time. 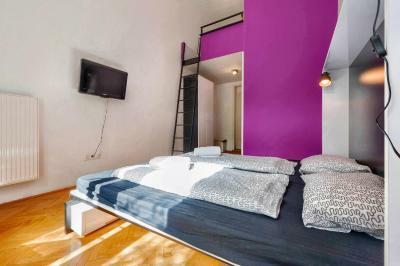 And location is great just down stairs you can find metro, bus station, Costa Cafe all. I stayed there one night only. I was enough )). Staff helped me so much with my transport's troubles. Smokers stepped out onto the little balcony to smoke - this balcony had a good view of the city. The smoke wafted into the eating/kitchen area and non-smokers could not enjoy the view unless they stood outside with the smokers. 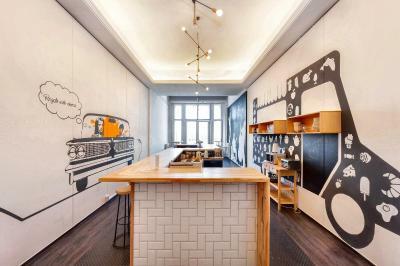 Great location right at one end of the most famous street in Budapest, Andrassy Utca. 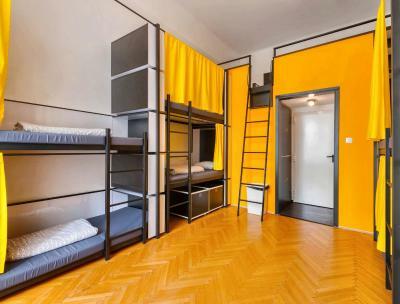 the hostel is close to both the yellow metro line (right outside the door) and Deak Ferenc Metro station, and it is also close (less than 5 minute walk) to the bus stop that takes people to and from the airport. 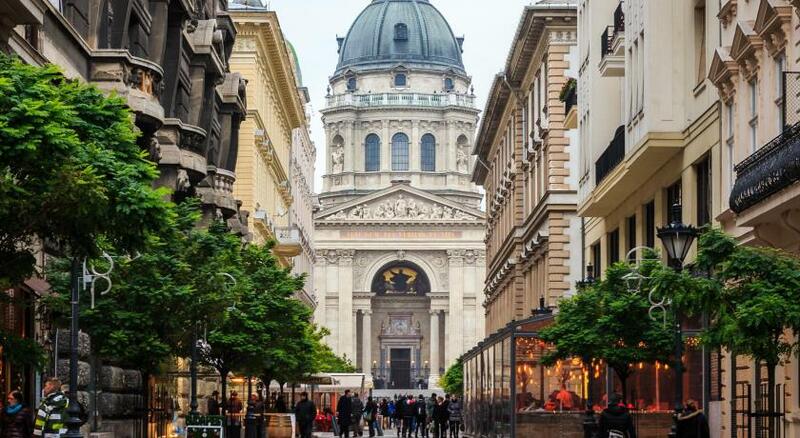 The Basilica is right across the street and there are many, many restaurants, shops and bars just steps away. 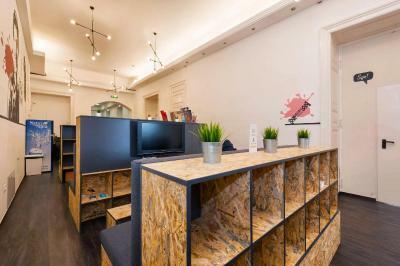 Common area was bit confusing. They are still working on it.